Your source for international calling cards and phone cards. Shop exclusive calling cards with fast, easy, secure shopping worldwide. At only 2.7¢/min , this is excellent for small, midsize, and enterprise companies. 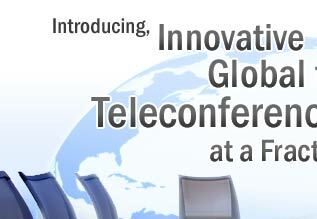 Receive 24/7 service, host 50 participants on a conference globally. ConferenceCalls.com is an advanced teleconferencing platform that enables users to place international phone calls from domestic USA, or anywhere in the world. With its features and calling flexibility, companies can expect to reduce their telecom costs by up to 90%. More and more businesses are cutting costly phone bills by using ConferenceCalls.com. 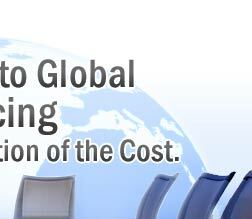 It's global, reservationless, conference FROM any country TO any country. Connect 50 global participants to a teleconference in seconds. Online call management, detailed reporting, real-time recharging, more. It's Prepaid. So no contracts or long term commitments to sign. No Installation Costs, No Signup or Cancellation fees, Speedy Activation. 24/7 Toll Free Customer Services & 24/7 Online Account Management. can benefit your company and reduce teleconferencing costs.